Thirty points are up for grabs when Nakuru RFC hosts Prinsloo Sevens on Friday, August 27. This is the second tournament of the five-leg Western Union-sponsored Kenya Rugby Union National Sevens Circuit. After a three-pronged tussle between the organizers, government and KRU, the tournament kicks off from 9.30am on two pitches at Nakuru Athletics Club. Unlike in the opening tournament, Kenya Harlequin FC Christie Sevens last weekend in Nairobi at the Rugby Footbal Union of East Africa ground where most of the players were unknown and some of the clubs relied on big names, the setting is quite different. Some of the top players may not be available for the opening day because of a State function. Kenya Harlequin FC are the top seeds following a 15-10 win over Mwamba last weekend. They should have no problems qualifying from Pool A which has Daystar University, Bungoma RFC and Mtaa Select despite missing Collins Omae and Victor Oduor who are in Zambia for the annual Castle Lager Sevens. Also in Zambia is coach Felix Ochieng. Earlier in the day, they could miss Allan Onyango, Leon Adongo, Peter Obuoga, Wilson Kopondo, Naftali Bondo, Sidney Ashioya and Victor Sudi. Mtaa Select was selected at the end of the first Mtaa Sevens tournament held on August 15 and is made up of players from various Nairobi neighborhoods. Mwamba had an unbeaten run to the final at Christie Sevens but surrendered a 10-0 lead before falling to Quins. They won three individual titles though. Nakuru could see the return of playmaker Lavin Asego. Like Quins, Mwamba may have to do without Asego, Horace Otieno, Humphrey Kayange and Collins Injera in the opening three matches. None of the Mwamba players travelled to Lusaka with the Shujaa team and Nakuru is a good hunting ground. Edgar Abere, the MVP at Christie Sevens, Steve Okeyo, Louis Kisia, Dennis Ombachi and Kevin Wambua should hold fort though in Pool B which also has Nondiescripts RUFC, Kitale RFC and Egerton University. Nondies will be without Gray Cullen and Charles Kanyi who are in Lusaka with Shujaa. Hosts Nakuru RFC are at full strength and have the best chance of winning own tournament. Their main threat in Pool C are Blak Blad and Rwanda’s Silverbacks. Webuye RFC are an unknown quantity. The Nakuru RFC line up has Philip Owuor, Edwin Makori (captain), Javan Murayi, Larry Safari, Nick Lang’o, Bernard Chirchir, Davis Yanga, Graham Kombo, Mike Shihosi and Philip Kwame. Gibson Weru is likely to play also. Pool D is headed by Impala. Nato Simiyu, the Impala captain said there were a lot of positive feedback from Christie Sevens. He will be playing alongside his elder brother Innocent - and Bryan Nyikuli - later in the day but has to slot in players for Peter Ocholla and Vincent Mose who are in Lusaka. Back to the familiar ground is Lawrence Buyachi who honed his skills at Nakuru RFC. Their main challenge should come from Homeboyz whom they edged out 19-12 during Christie Sevens. Impala will come up against another one of their own, Owen Ocholla who has moved to Homeboyz. Some of the players from Homeboyz are Hezbon Mataya, Sebastian Shiboka, james Rautta, Leon Lubanga, Ken Moseti, Ian Indimuli, Simon Odongo and Bran Asyago. Plate winners at Christie Sevens, Strathmore University will be without Peter Kepha and Felix Ayange who are in Lusaka. But coach Mitch Ocholla still has enough firepower to top Pool E which also has Mean Machine, KCA University and Mombasa’s Spartans. Key to Strathmore University’s success are Maurice Mbai, Seth Machuki, Charles Omondi, Anthony Nyandigisi, Michael Wanjala, Hastings Nyariki, Edwin Salamba, Anthony Oyugi and Philip Moturi. This is a tricky pool with Mean Machine and KCA University capable of springing up a surprise. Kisumu RFC who host Dala Sevens the following weekend head Pool F which also has Kenya Commercial Bank, Eldoret Flames and Mt. Kenya University. Rift Valley Institute of Science and Technology’s team has been placed on standby. Pool winners and the best two teams qualify for the main cup quarter finals on Saturday. KRU National Sevens Circuit Standings: Kenya Harlequin FC 24 points, Mwamba 20, Nakuru 16, Impala 16, Strathmore University 12, Kisumu RFC 8, Kenya Commercial Bank 6, Mean Machine 6, Homeboyz 4. Pool A: Kenya Harlequin FC, Daystar University, Bungoma, Mtaa 7’s Select. 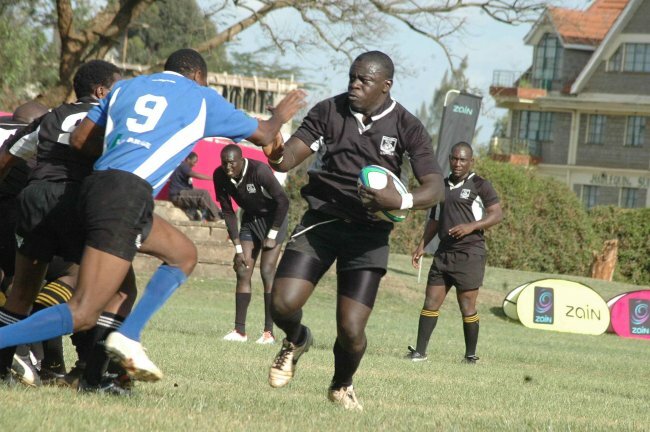 Pool B: Mwamba, Nondescripts RUFC, Egerton University, Kitale RFC. Pool C: Nakuru RFC, Blak Blad, Silverbacks (Rwanda), Webuye RFC. Pool D: Impala, Homeboyz, Mombasa Sports Club, Kenya Polytechnic. Pool E: Strathmore University, Mean Machine, KCA University, Spartans. Pool F: Kisumu RFC, Kenya Commercial Bank, Eldoret Flames, Mt Kenya University. Quins v Mtaa Select, Daystar v Bungoma (9.30 am), Mwamba v Kitale, Nondies v Egerton (9.55), Nakuru v Webuye, Blak Blad v Silverbacks (10.20), Impala v Kenya Polytechnic, Homeboyz v Mombasa (10.45), Strathmore v Spartans, Mean Machine v KCA (11.10), Kisumu v Mt. Kenya, KCB v Eldoret Flames (11.35), Quins v Bungoma, Daystar v Mtaa Select (12 pm), Mwamba v Egerton, Nondies v Kitale (12.25), Nakuru v Silverbacks, Blak Blad v Webuye (12.50), Impala v Mombasa SC, Homeboyz v Kenya Polytechnic (1.40), Strathmore v KCA, Mean Machine v Spartans (2.05), Kisumu v Eldoret Flames, KCB v Mt. Kenya (2.30), Bungoma v Mtaa Select, Egerton v Kitale (2.55), Silverbacks v Webuye, Mombasa v Kenya Polytechnic (3.20), KCA v Spartans, Eldoret Flames v Mt. Kenya (3.45), Quins v Daystar, Mwamba v Nondies (4.10), Nakuru v Blak Blad, Impala v Homeboyz (4.35), Strathmore v Mean Machine, Kisumu v KCB (5 pm).